Joico offers a new line of products for curly hair called Joico Curl. These products help reduce frizz, repair hair, and enhance curl definition. The Joico Curl Cleansing Shampoo is sulfate-free and uses a surfactant called cocamidopropyl betaine to gently cleanse without stripping moisture from the hair. Cocamidopropyl betaine is made from coconut oil and softens the hair as it washes way impurities. Apply the shampoo to wet hair, massage into your hair and scalp gently, rinse the shampoo out thoroughly, and apply the Joico Curl Nourished Conditioner. I like this shampoo because it makes the hair feel clean after rinsing it out. The Joico conditioner works best on hair Type 2 wavy and Type 3 curly hair. It has great slip for detangling and can be used as a leave-in conditioner. I recommend leaving a little bit of the conditioner in your hair if you are going to use a styler that has holding properties. This technique will help your curls to have a soft touchable hold with less dryness. The conditioner consists of avocado oil, babassu oil, and camelina oil to help put moisture back into the hair. Apply a generous amount of the conditioner starting from the ends working your way up to the roots. Use a wide tooth comb or a Denman paddle brush to comb the conditioner through the hair. Leave on for 1- 5 min. before rinsing or leave the conditioner in if your hair needs more moisture. This conditioner is weightless, so there is no need to worry about the product feeling too heavy on your hair. After you condition your hair, you can use the Joico Curl Perfected Curling Milk. This is one of my favorite products in the collection because it really defines curls without any hold. You will get a soft bouncy curl that is elongated. The key is to saturate your hair with enough of the milk starting from the ends and working up towards the roots. Don’t be afraid to use a generous amount because this product dries fast and is weightless. The Joico Curl Perfected Curling Milk balances the pH of the hair and seals in moisture. The pH of human hair is 4.5 to 5.5 and the pH of the The Joico Curl Perfected Curling Milk is 3.5 to 4.5, which keeps the cuticle closed tightly. If you like curl definition with no crunch, then the Joico Curl Perfected Curling Milk is right for you. 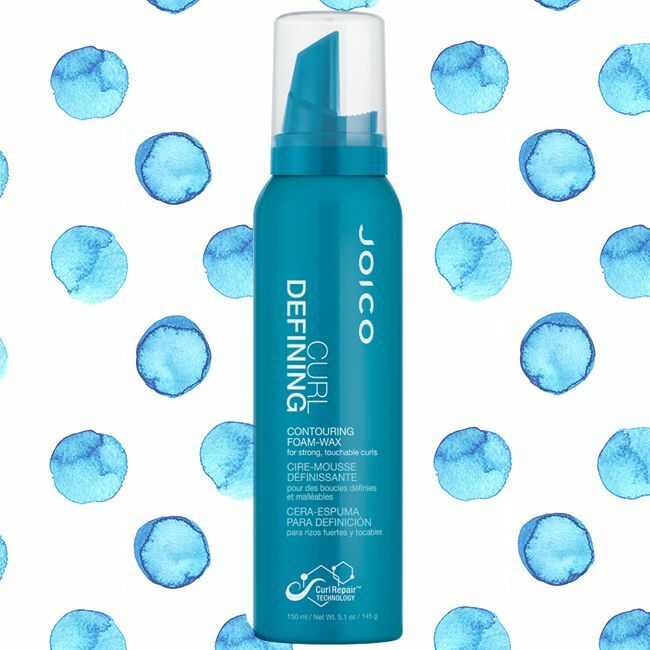 When your curls need to be refreshed throughout the week in between shampoos, you can use the Joico Curl Refreshed Reanimating Mist. This mist helps reactivate product in your hair and revive your curls. You can use it as needed and your curls will not feel greasy. If you like products that offer hold but are tender on the hair, you will like both stylers from the Joico Curl product line. I use the Joico Curl Defining Contouring Foam - Wax for wet sets or twist outs. This product comes out like a foam but feels more like a softening wax that can be used to tame unruly curls or flyaways. This product does not dry crunchy but holds styles in place. It offers great shine and does not flake. The Curl Controlling Anti – Frizz Styler is a cream and weighs the hair down just enough to reduce frizz. I also use it to tame hairs that I need to lay down around the hair line. Have you tried the Joico Curl products? How did the products make your hair feel?